According to Chinese medicine, the leading cause of death and disease is negative emotions. It’s not that our negative emotions are inherently bad; common day-to-day feelings like disappointment, sorrow, envy, anger and <gulp> rage. But when strong emotions are suppressed and repressed, physical symptoms like inflammation and illness are the result. The good news is the mind-body-spirit connection is no longer debated. Western medicine finally acknowledges that our emotional lives are played out in how we feel physically. The worst types of diseases I see in my clinical practice – disorders and diseases that wreak havoc on people’s overall well-being and quality of life – are rooted in unexpressed feelings of anger, fear, worry, anxiety, sadness and/or loss. Over the past 20 years, I’ve noticed a common thread with common autoimmune diseases likes lupus, fibromyalgia, and rheumatoid arthritis. Along with the physical suffering of swollen joints and limited movement, there’s also emotional suffering that prevents movement and release. My theory is that suppressing one’s emotions causes inflammation. Emotionally we’re taught never to “blow up” and lose our temper, which is rewarded socially, so our bodies “blow up” instead. We feel and look swollen, sore, raw and inflamed. When we ignore anger or any of the emotions, it’s like putting our finger over the steam of a boiling-hot teakettle. Your finger will burn, blister and bleed. Unlike traditional talk therapy, where you can spend years and tens of thousands of dollars reliving your childhood and rehashing old hurts, energetic medicine works instantaneously. It’s one of the many reasons I love Qigong, an ancient healing art using mind, breath and gentle movements. With Qigong, you don’t need to “eat it again” – you avoid having to talk about or overanalyze what has gone wrong and why. Instead, you’re guided to acknowledge, feel and release the negative emotions without saying a word. You just breathe, move and visualize. 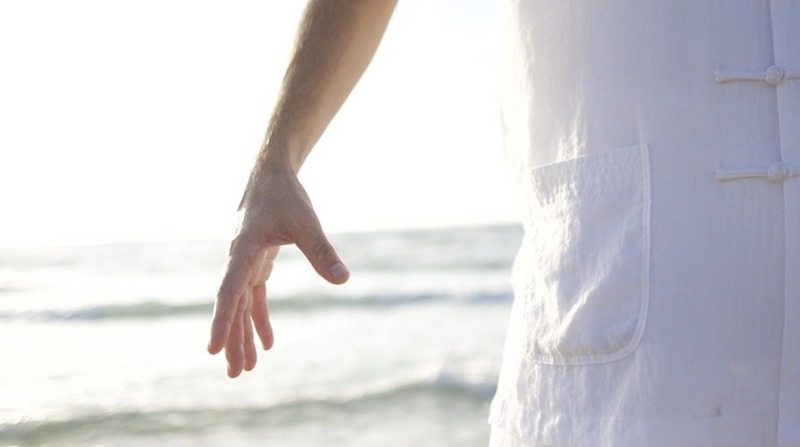 Qigong works with the body’s energy systems to clear negative emotions, boost vitality and well-being. If you can imagine yourself well, you can access the healing benefits of Qigong. Qigong has been practiced for thousands of years and is still considered one of China’s most powerful medicinal practices. Although I work with thousands of clients one-on-one, there are plenty of Qigong practices you can do at home that promise less stress, better health and more energy. These daily 20-minute videos are based on Qigong classes and private sessions held at our Morning Crane Healing Arts Center in San Jose, California. You can watch these videos in the morning, afternoon or just before bed. If you need to get energized, the movements will pump you up. Need to fall asleep? Get ready for some serious zzzzzz. Your body wants to be in perfect well-being. Qigong is often described as ancient medicine meets modern miracle. When you honor the intention to heal, change and move forward, Qigong invites your body to speak, heal and dream. Without saying a word. This video will get you out of your mind and back in your body, increasing immunity and boosting energy along the way.